This herbaceous perennial has pinnate green leaves and bears small pinkish flowers in erect ovoid spikes in summer. Height to 2 feet. 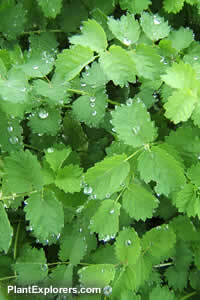 The young leaves have been used as an ingredient in salads. For maximum freshness, please keep seed refrigerated in its original packaging until it is time to plant. Sow seed in containers in a cold frame in spring or fall. Grow in moderately-fertile moist but well-drained soil in full sun or part shade. Do not allow soil to dry out.